The 150 participants in the school coming from Serbia, Poland, Slovenia, Germany, Austria, Ireland, Slovakia, France, Russia, Italy, Croatia and Switzerland left Ottmaring with the profound conviction and great joy of being part of a project that would someday become a true blessing to the world. Every EoC meeting aims at establishing a climate of friendship and strengthening the network of people who feel the project as their own vocation. course, it is not by accident that the project has been called “Economy of communion”. In her presentation of the “Guidelines for conducting an EoC business”Anouk Grevin, professor at the University of Nantes (France) explained “The communion at every level of our life, including the entrepreneurial one, is the distinctive element of this project with respect to all other forms of civil economy”. On one hand, we can think of the philanthropic inspiration that gives birth to different foundations - institutions that allocate a certain percentage of their funds to the poor but at the same time “immunize” the society from poverty. On the other hand, we can think of the communion that includes the poor, embraces them and in this way finds out what particular “treasure” they bring. This is the objective of an EoC business: to contribute to the reduction of world’s poverty. 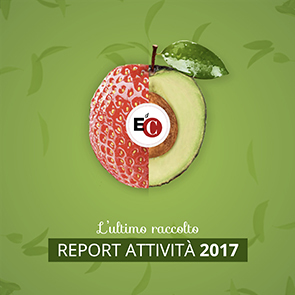 Luigino Bruni, international coordinator of the EoC, emphasized that “We should be aware of the fact that through our everyday work, we do not simply do our job or earn our salaries. Rather, we build a better world”. Many entrepreneurs gave evidence of this fact. Johannes Linke, for example, told us that the human being and not profits is at the center of his attention as an entrepreneur. The profit is just an instrument of communion. Of course, he has lost some important clients over time since he has never succumbed to corruption. At the same time, however, exactly because of this “new way of acting” he has won others. There was an employee in his company who used to not work efficiently. First of all, however, Johannes tried to discover his “beauty” and afterwards managed, together with him, to find out how to improve things. It is important now to start to make the dream of a more fraternal world come true. The Belgium entrepreneur Koen Vanreusel from Selfmatic said “If I do not begin now, if I do not give away the first 5 euro of my profits, I will never start to do it”. And then he added “the EoC principles give the sense of how we do business. They open a wider horizon in front of us and make us look at solidarity from a different perspective”. According to Tatiana Minakova (from Russia) “A single person might not be enough. It is, however, possible that exactly her individual efforts are needed so that at a certain point in time ,also other people undertake the path of communion”. Luigino Bruni added: “the true EoC vocation brings the same strength as the one of a missionary or any other person with a charismatic vocation”. At the end of the meeting all the participants were invited to the upcoming international EoC events: the next Summer School for youth and entrepreneurs that will be held in Paris, in the end of August 2014; the next school, similar to the one in Ottmaring, for all the people involved in the EoC project in North and East Europe that will be organized in October 2014 in the Mariapolis center Faro, Croatia; the International EoC Assembly 2015 in Nairobi, Kenya. In a speech to the EoC entrepreneurs made in May 2003 in Loppiano (video in Italian, English transcription), Chiara Lubich said: “The Economy of Communion is a prophetic sign”. These were the words to which we listened to on Sunday morning before leaving Ottmaring, convinced that the prophecy will come true if we are faithful to the communion at all levels - within as well as outside the company, every day, from dawn till dusk, wherever we are.